What exactly is a MIM file or MIM extension? How can I open a MIM file? Let's start with what MIM files actually are. About MIM files and the MIM file extension. What is MIM? Files with a .mim or .mime are associated with email messages. 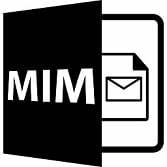 MIM in this case is merely an abbreviation of the full acronym MIME - short for Multipurpose Internet Mail Extension. MIME is a format used by email clients for sending emails in 8-bit format (necessary for supporting file attachments) rather than 7-bit ASCII emails. You can think of MIME files as a type of wrapper for content such as images or data that might be part of an email attachment. This separation of concerns has a couple of associated advantages. Transmission of messages over the network from client to client is quicker and more convenient and there is the added bonus that the recipient does not necessarily need to able to decode the attachment in order to receive it - contents will simply be listed in a compressed format that can be extracted elsewhere if they cannot be decoded by the recipient's email client. MIM files can be opened by the majority of modern email clients on all platforms. For Windows, this will include Outlook Express, Microsoft Outlook 2010 and upwards and Thunderbird. On the Mac, you are free to use Microsoft Outlook 2011 and upwards, Apple Mail or Mozilla Thunderbird to open these files. Linux users are free to use KMail or any other Linux client that supports the MIME format. If your email client is completely unable to decode the format, you also have the option of using a decompression utility to unzip the contents of the file. Options here vary by platform but popular solutions include WinZip on Windows and Stuffit Expander on the Mac. 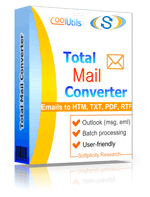 A much more straightforward solution is to simply use Total Mail Converter. This supports MIM files and can convert any contents to PDF, DOC, EML, MSG or Outlook PST with just a few clicks.